something strikes you or takes you by surprise? A week or so ago, I ran across an add in one of our semi-local publications. with the specification of "without a machine" as if "by hand"
meant in addition to a machine. I read and re-read the little plea for help. to show her such a basic skill. Perhaps it was a combination of all the above. to her house and say plainly, "Here, let me show you. 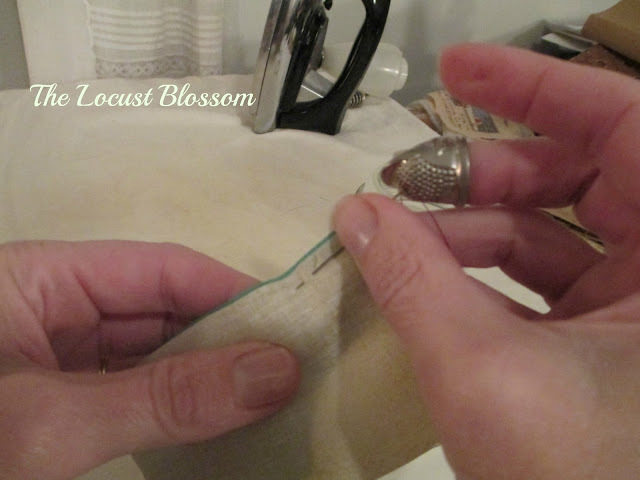 . ."
of hand stitching for general purpose. and just as many variances as to preferences for this method or that. This is just one of those many ways. 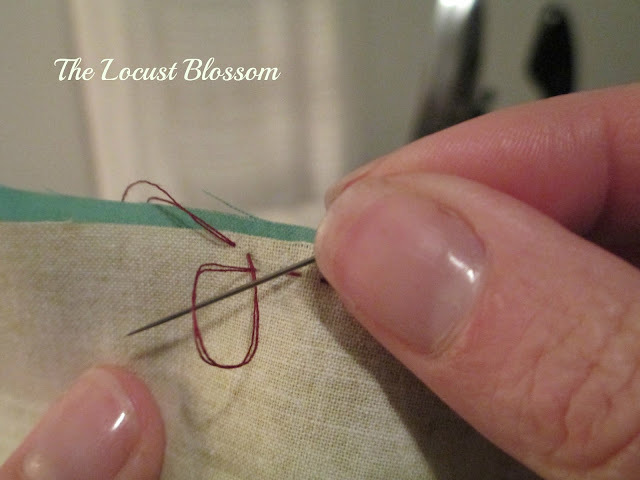 This is a regular running stitch. 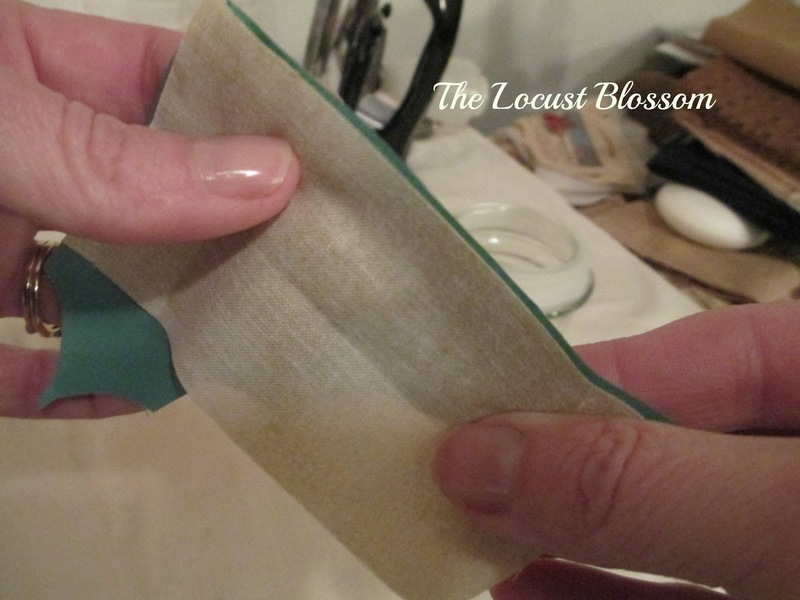 Keep in mind your "fabric" can be anything from a silk scarf to canvas tarps. and two strands of dark thread to stand out even more. I staggered them so you could see. spanning the length of your seam. 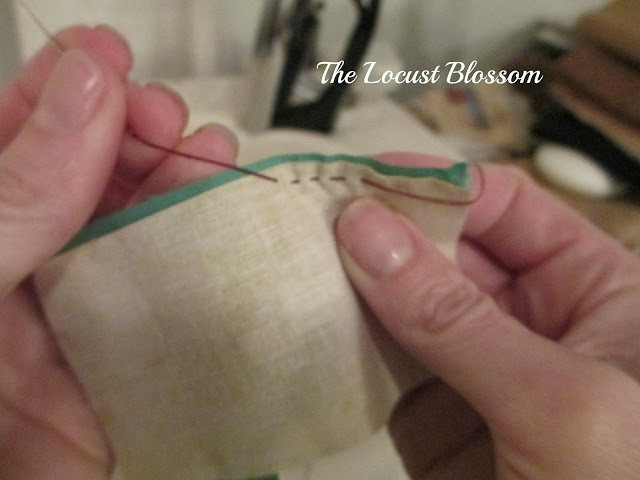 To do this hold the needle kinda at a slant and move it up and down through the fabric maybe 3-4 times then pull the thread through the fabric. You will figure out what is comfortable for you depending upon the size of your needle and the thickness of your fabric. 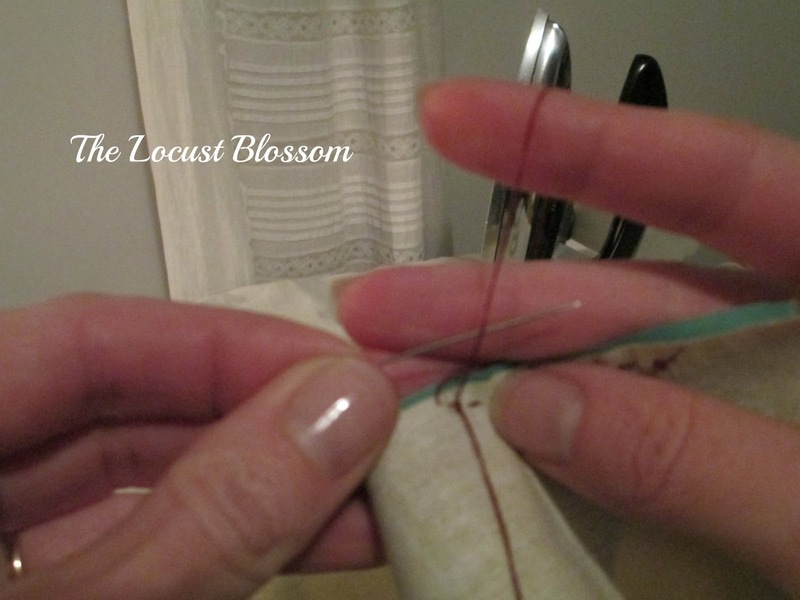 I also used a large needle to demonstrate. 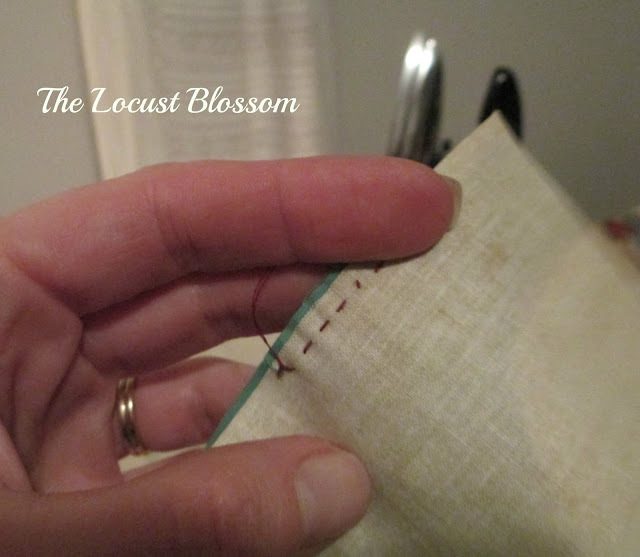 The goal is for your stitches to be as even as possible. Also, the smaller your stitches, the stronger your seam will be. This stitch can be done in a straight line or around curves. 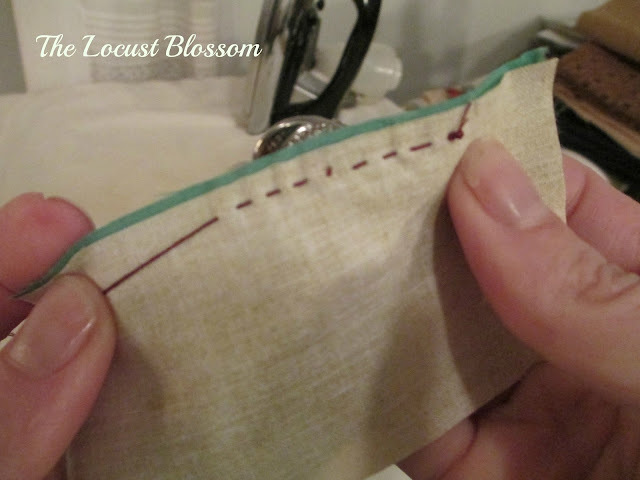 make a very small stitch to get it back in line. pull your thread, then do it one more time. I typically go through the loop at least 3 times but often 4. Snip close to knot leaving a very small tail to ensure it doesn't unravel. 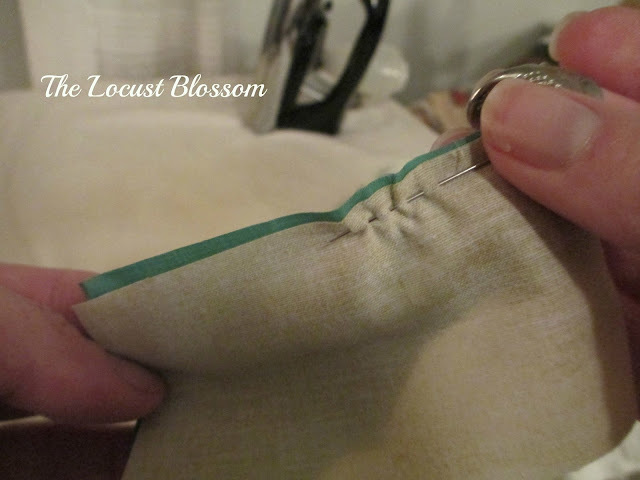 With that, you have just hand stitched your seam. and iron or press open. Typically, if using two different colors, you would press toward the darker color. Sorry I took the picture before I made my knot. no maintenance, oils, or up-keep, and very little space to store. and the item which you are stitching. I will also apologize if a few of the pictures are a little less than perfect. What a great tutorial, should this lady ever contact you! And it is quite sad that she never learned to sew by hand. This was a skill I taught my children when they were very young. We also learned to hand sew in school, making our own stuffed animal. My kids were taught to make their own pillows and stuffed toys. I'm glad I taught them, as schools nowadays do not teach those skills, sadly! Thank you for the step-by-step pictures. That made it very clear. Although, I know how to hand sew, that clarified a few things for me. There are many basic skills that I had the privilege of learning during my childhood. This was due to the resurgence of old time handworks and crafts around the Bicentennial. It is no longer the norm to pass these skills down. Now, I am inspired to make a list of some of these old skills and make a point of teaching my girls the basics. Thank you for reminding me. I can imagine how you had to balance your camera to get these pictures, it's tricky when you are by yourself! I love the slower pace of hand stitching sometimes although mostly I do appreciate the speed a machine can give when you just want to get some thing made. 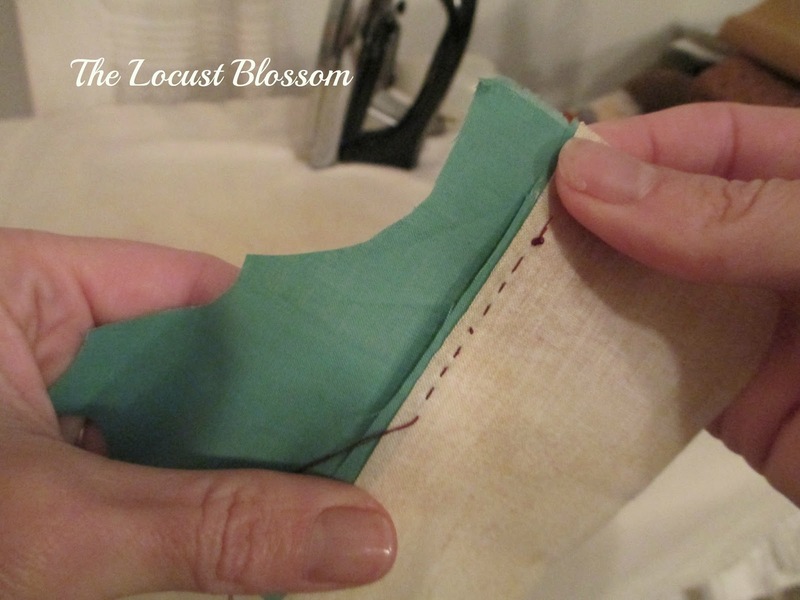 I agree it's important to pass these skills along, like sewing on buttons or mending a seam that's coming undone, important and easy skills to learn. 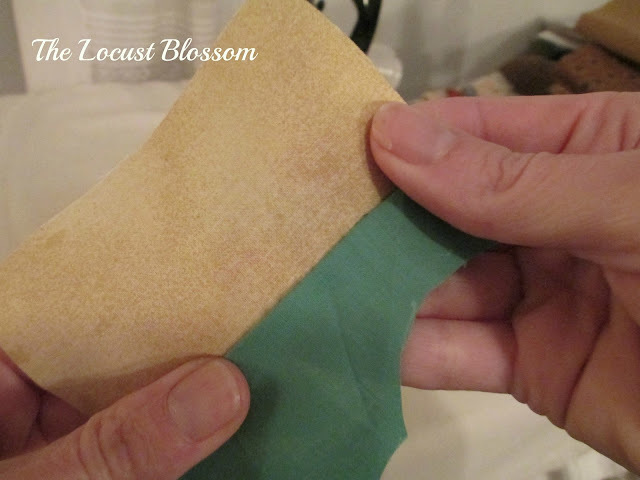 I was just reading an article that pointed out how many adults don't even know how to boil an egg, I am not surprised they do not know how to sew by hand (or machine). Thanks for sharing at Simple Homestead Hop.